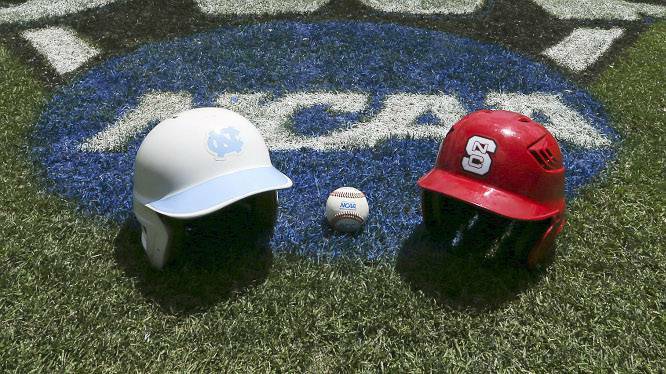 The North Carolina Tar Heels (58-11) and the NC State Wolfpack (50-15) both face elimination from the 2013 College World Series as the two rival teams from the state of North Carolina will face off at TD Ameritrade Park in Omaha, Nebraska at 8:00 PM on Thursday evening. The game will air live on ESPN, as Mike Patrick (play-by-play), Orel Hershiser (color) and Jessica Mendoza (field) will once again broadcast the game for audiences at home. “It’s a good thing because if we weren’t here playing each other we’d be out recruiting, so yeah, this is a really good thing,” Avent said. “I talked to [South Carolina AD and former baseball coach] Ray Tanner last night for a while, and Ray was like, ‘Yeah, I had to go there a couple of times to play Clemson, and I know what that’s like. Avent would be pleasantly pleased following the press conference as the Wolfpack would rout the Tar Heels in a dominating 8-1 victory, led by a masterful outing by staff ace Carlos Rodon, who went the distance, surrendering just one run and fanning eight Tar Heels in the process. North Carolina was able to oust the strong LSU Tigers ball club from the NCAA Tournament, a Tigers team that had been considered an early favorite to bring home the championship in Omaha, in a loser bracket game on Tuesday by a score of 4-2. Trent Thornton, Tar Heels reliever, turned in a strong outing for North Carolina, holding the potetnt LSU offense to just two runs over seven innings en route to his record 12th victory as a freshman pitcher for the Tar Heels. NC State, on the other hand, would falter against the UCLA Bruins, as Nick Vander Tuig would hold a hot-hitting Wolfpack offense to just one run over six strong innings of work. NC State will send out Brad Stone (3-2, 5.28 ERA) to the mound on Thursday in hopes that the freshman southpaw will hold the Tar Heels offense in line, as North Carolina sends their junior stalwart left hander Hobbs Johnson (4-1, 2.62 ERA) to the mound and look to send their Carolina counterpart home for a chance at their first NCAA title in school history.